Gary Yamamoto grins and giggles as the bass airs it out on a tight line. It’s clear Yamamoto is pleasantly engaged with the moment. I'm guessing this fish goes about 12 … inches. We're fishing a small pond on Yamamoto's ranch in Palestine, Texas, and you'd be hard-pressed to find a place for the legendary lure maker to dial in the "me" time. Yamamoto has fished all over the U.S. and Japan, but ask him where he most enjoys bending rods and he'll point to the small ponds scattered throughout his property. Here, he can always count on peaceful, unmolested angling action – doesn't matter how big or how many. 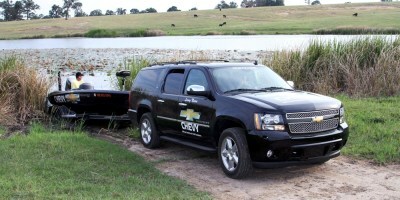 He doesn't have to worry about hole-jumpers or jet skis and there's never a line at the boat ramp. 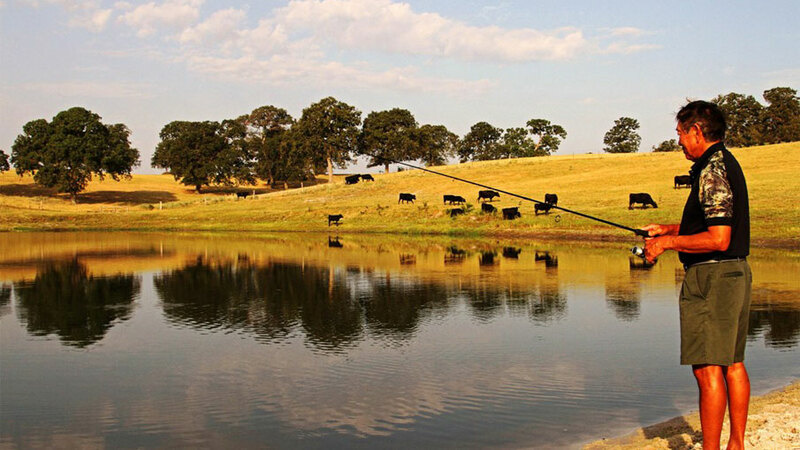 Plump with bass, bluegill and crappie, these ponds double as watering holes for the wagyu cattle that Yamamoto raises in his kobe beef operation, but that's just typical of small pond fishing – some of the best action sits tucked away in areas of low traffic. As such, these often underutilized waters may surprise you with their quantity and quality of fish. Pack light, but be prepared for serious fish. Your small ponds could deliver a lot of small to mid-size fish, but tucked-away waters are famous for holding whoppers that seldom see a hook. Example: Yamomoto worked a 1/32-ounce jig with his 2-inch grubs on light spinning gear, while one of his pro-staffers, FLW Tour pro Tom Monsoor, threw the new Yamamoto Tate' walking bait. After Yamamoto's third foot-long bass on the jig, Monsoor stuck a 3 ½-pounder on the topwater. The next morning, the two got on an epic topwater bite on another pond, this one with more contour, better shoreline cover and lots of grass. Yamamoto actually started out hopping one of those little jigs around shoreline vegetation for bluegill and juvenile largemouth, but had he and Monsoor not geared up for bigger quarry, they wouldn't have enjoyed their hour-long rally of big bass up to 8 pounds. Depending on the area you're accessing, transportation may be limited to long hikes, so pack accordingly and use backpacks for efficient and ergonomic gear transportation. Yamamoto uses a utility cart, but ATV's are helpful when access and availability work in your favor. Mountain bikes offer another practical option. As for vessels, small ponds are ideal for canoes, kayaks and John boats, but take advantage of any paved ramps that exist. Just be careful to check out the drop-off points and know what you're backing into. Give catch-and-release careful consideration. If you're keeping panfish, catfish and the like, be sure to bring a cooler that you can carry out with some added weight. Opinions vary on keeping bass, but that's a personal call for any licensed angler. Food for thought: Releasing quality and trophy fish should be a no-brainer for anyone interested in perpetuating the small pond's potential, while harvesting a few small ones (better eating size) helps avoid overpopulation and stunted growth rates. "That's the thing with these small ponds, you get so many little bass that it starts to hurt the population," Yamamoto said. "I like to eat the little ones – you get a nice little fillet." If you have permission to fish private ponds, make sure the landowner's also cool with you taking a few fish for dinner.